This 7-year-old farmer's daughter has no idea that cancer is slowly killing her. Life was all about studying and playing with her little brother. Things came to a halt when she was down with a fever which turned out to be cancer. It was in the month of March when Janvi was suffering from high fever and stomach pain. Her parents took her to a local hospital where she was given paracetamol and sent home. Her parents were relieved thinking that she will be fine in a few days but her condition didn’t improve. Things got worse when Janvi suddenly complained of terrible stomach pain again. Her parents rushed to the nearest hospital but the doctors couldn’t diagnose the condition. 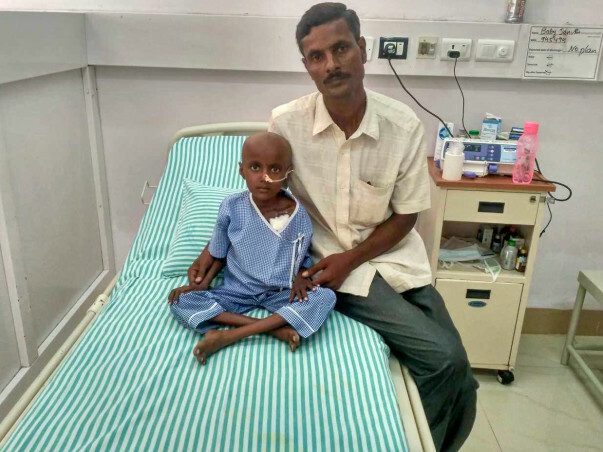 After going to different hospitals for around two months, they arrived in Bangalore. The test reports revealed she is suffering from cancer. She was referred to another hospital where her treatment started finally. Janvi’s father works as a landless laborer with a meager wage of Rs 6000 per month. Her mother works as a tailor in Doddaballapur. Their money got already used up in her treatment so far. Janvi has gone through 4 sessions of chemotherapy. Her parents have spent around 15 lakhs so far. 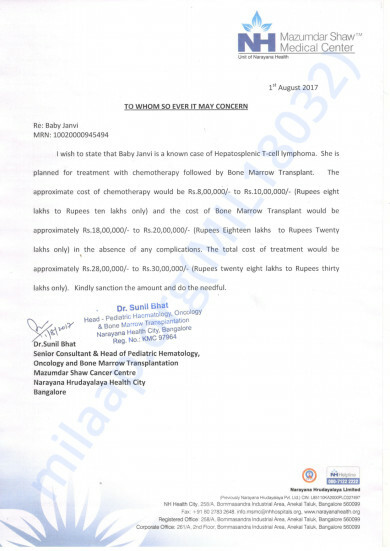 She needs around 30 lakhs for a Bone Marrow Transplant which will provide a permanent cure. Janvi passed away in the late hours of Saturday (September 9th). The funds raised for Janvi will be utilised to close the pending bills at the hospital. Your timely support ensured that she received the best medical care. The family is grateful for all the care and support you’ve shown Janvi. We hope they find strength in this time of grief. May Janvi’s soul find peace.